An Edmonton dentist whose five-year-old patient suffered a permanent brain injury is guilty of failing to provide appropriate care during treatment in his office that involved anesthesia, the Alberta Dental Association and College has ruled. An Edmonton dentist whose four-year-old patient suffered permanent brain damage is guilty of failing to provide appropriate care during treatment that involved anesthesia, the Alberta Dental Association and College has ruled. In a scathing report released Friday that runs to more than 90 pages, the college ruled that Dr. William Mather was guilty of the charges levelled against him under the Health Professions Act. His patient, Amber Athwal, was given anesthesia in Mather's dental office in September 2016 but suffered cardiac arrest after treatment. She was rushed to hospital and immediately put on life support. The little girl spent months in hospital, and has since recovered some use of her arms and legs and some ability to speak. Mather, who has since retired, was accused of five counts of unprofessional conduct and a number of other administrative infractions. The college held a six-day tribunal hearing in October and found him guilty or partially guilty on all five of the main charges. "Based on the evidence presented at this hearing and the admissions made by Dr. Mather, the hearing tribunal has found that the bulk of the charges of unprofessional conduct … have been proven," tribunal chairman Jack Scott wrote in his decision. "Dr. Mather committed serious breaches of his professional and ethical duties to comply with the standards of practice and the code of ethics." Amber's father, Ramandeep Singh Athwal, said his family is pleased the college tribunal found Mather guilty of the charges. "We are thankful to the [college] that they took our case seriously and helped us to find out the answers," Athwal said Friday. "On the other side, we are heartbroken that this whole incident was preventable." Failed to obtain informed consent from Amber's parents, including "failing to discuss the risks and benefits of treatment and general anesthesia." Failed to establish Amber's "NPO status," including time of last food and drink. NPO is an acronym for the Latin phrase nil per os, which means "nothing through the mouth." Failed to ensure that anesthetic gases were turned off before leaving the operation room. Failed to maintain Amber's IV during her post-treatment recovery. Failed to properly monitor Amber's vital signs during and after treatment. Failed to ensure that Amber was continuously monitored by "competent and qualified" recovery room personnel. Failed to ensure that a physical examination was completed, including the pre-anesthesia assessment. After Amber's treatment, while she was unconscious, Mather left the surgical suite to see other patients. Registered nurse Tasneem Ali was in charge of monitoring Amber during the recovery period. 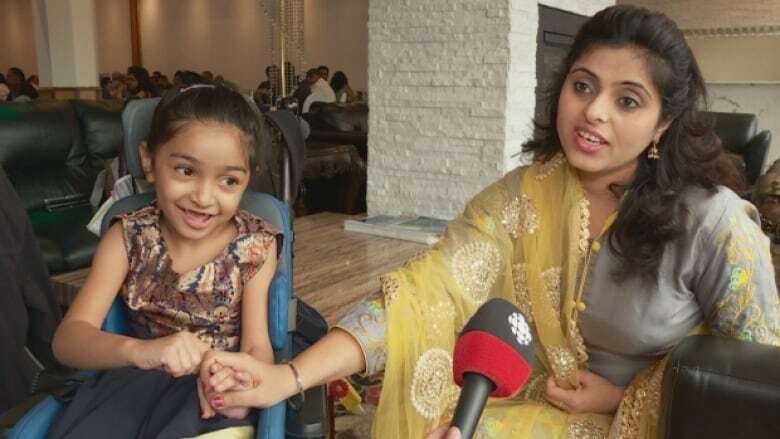 At the hearing, Ali testified that she had been carefully monitoring Amber and suddenly noticed that the little girl had stopped breathing and that the monitor that tracked her blood-oxygen saturation showed no reading. The tribunal agreed with expert testimony of anesthesiologist Dr. Scott Paterson, who testified that Ali's explanation was "not scientifically possible," because the monitors can't go from a normal blood-oxygen saturation reading of 98 to no reading in a few seconds. "The process leading to full respiratory and cardiac arrest would have been a slow process over 3.75 to seven minutes," the tribunal chairman wrote. Had the monitors been attached to Amber, they would have sounded alarms as her blood-oxygen level dropped, Scott wrote. "Even without the information from the monitors, close monitoring of Amber would have observed signs of physical distress that would have been obvious." ​The tribunal also ruled that after Amber suffered cardiac arrest and stopped breathing in the recovery room, Mather's response to the emergency, including his resuscitation effort, was inadequate. It ruled Mather's office did not call 911 quickly enough and did not immediately use an emergency resuscitation cart. "Unfortunately, Dr. Mather and his staff … were not fully trained or prepared to prevent or deal with Amber's medical emergency," Scott wrote in the decision. The next step in the hearing will be the sanction phase, where the tribunal will decide which orders, or penalties, the retired dentist will face. The girl's family has launched a $26.5-million lawsuit against Mather.